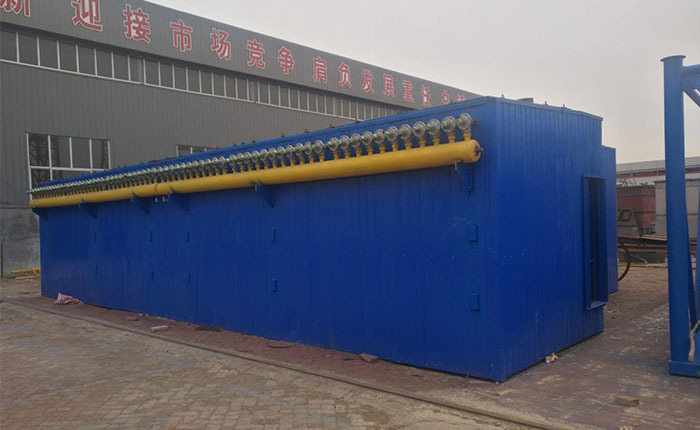 Product categories of Pulse Deduster, we are specialized manufacturers from China, Pulse Deduster, Pulse Bag Dust Collector suppliers/factory, wholesale high-quality products of Pulse Jet Dust Collector R & D and manufacturing, we have the perfect after-sales service and technical support. Look forward to your cooperation! There are 33 specifications for the PPC air box pulse bag filter. There are 32, 64, 96 and 128 bags per chamber. The length of the bag is 2450mm and 3060mm two. The dust collecting efficiency can reach more than 99.9%. The dust concentration of the gas is less than 100mg/m3 (standard) after the purification, such as in the cold area, when the outdoor heating calculation temperature is used Less than -25 degrees, a heating device. The characteristics of PPC gas box type pulse bag filter are: separate ash cleaning by separate rooms, namely off-line cleaning. When a room is blowing and cleaning, the filtration air is cut off, so that the dust generated by jet cleaning is avoided, and two times fly.